Good Morning lovelies! Guess what… It’s Friday!! I’m excited about the weekend because I have a few events that I am attending. I will be sure to let you all know how those events go. Anyways, let’s get straight to it. 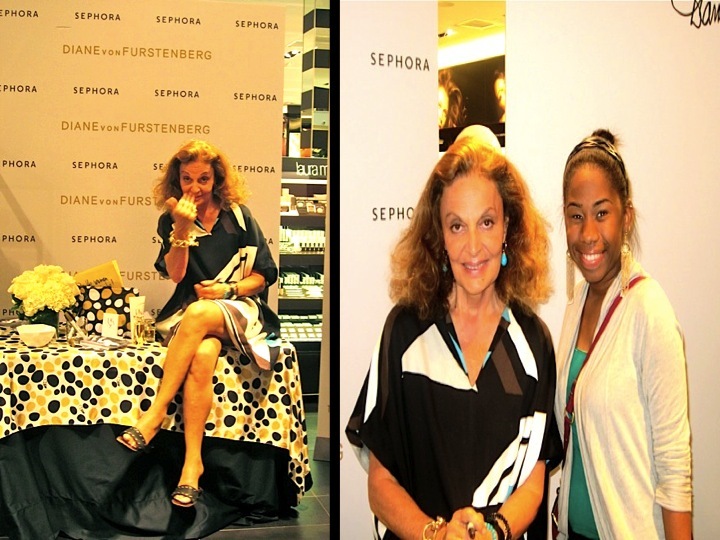 Last night, the lovely Schevashea of Curves and Confidence and I headed to Sephora at Aventura Mall to see one of the greatest fashion designer’s, Diane von Furstenberg. Diane is known for her sophisticated wrap dresses and signature prints. 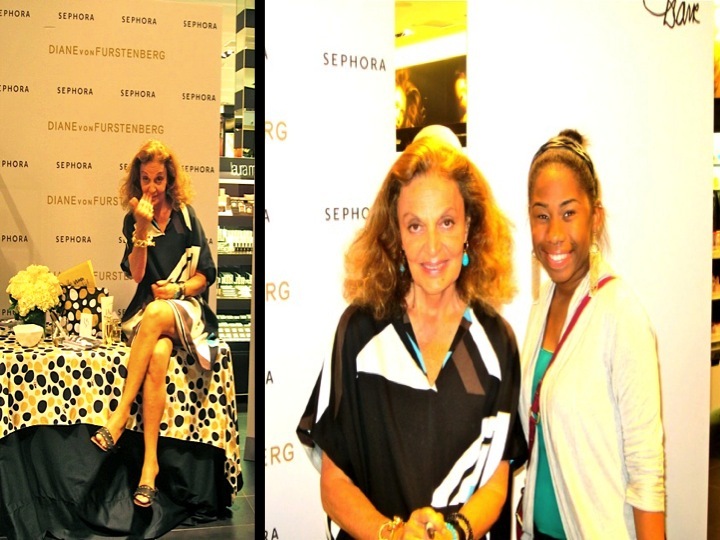 The reason for her visit to Miami was to promote her new fragrance Diane. Originally the only way that we would be able to meet her, take a picture with her and get her autograph is if we purchased her fragrance but I apparently the rules changed because we were able to do all of the above! 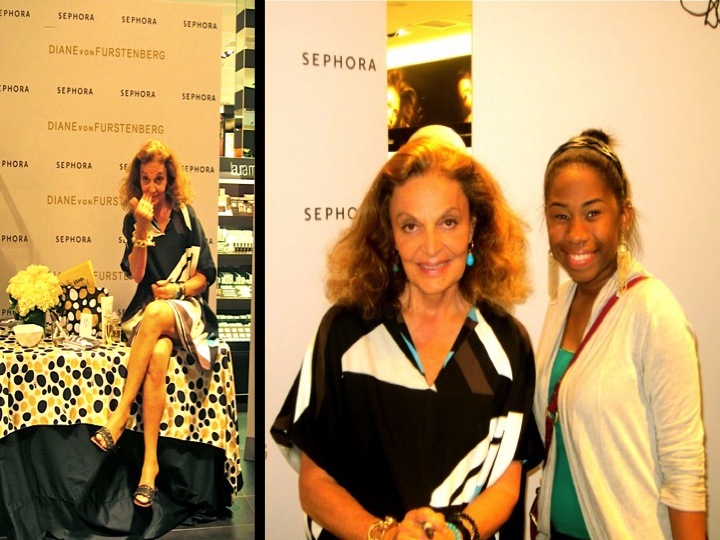 Diane von Furstenberg is just as fabulous on TV as she is in person. She was very sweet and you can tell she enjoyed meeting those who are a fan of her work. A few of the lovely ladies are wearing Diane’s latest wrap dresses. Aren’t they beautiful? If only I could afford just 1 of them. #Wishfulthinking. If you would like to see more of her dresses click here. It was a wonderful and memorable experience. I’m so glad that I was able to meet her. If you are in the Miami/Ft. Lauderdale area and would like to meet her she will be Saks Fifth Avenue at Bal Harbour Shops TONIGHT from 6:30pm-8:30pm. I hope you all enjoy your weekend. Thanks for stopping by ✌.